The native of Aachen, son of a German jurist and an American prima ballerina, can allow himself to sound out the limits. He gets his first violin at age four and makes his first appearance with the Hamburg Philharmonics at the early age of ten. At age thirteen he is the youngest artist to be awarded an exclusive contract with the Deutsche Grammophon Gesellschaft. In 1999, at the height of his career, the shooting star redirects his energy, deciding to leave his predetermined path as a classical violinist and move to New York – not to take a time-out but rather to place his musical proficiency on a theoretical foundation and perfect his technique. He enrolls at the prestigious Julliard School, studying musicology and composition. Since completing his studies, the visionary violinist has committed himself to a clearly defined goal – introducing young people to the classics and kindling enthusiasm for reputedly serious music. Whereas many conservative contemporaries wonder whether uncompromising excellence and popularity, art and commerce can or may even be reconciled, David Garrett long ago proved that it is possible, enthralling listeners of all ages. The same new, incredibly electrifying spirit pervades lofty Philharmonic halls holding sold-out classical concerts and open-air arenas staging crossover programs. The people sense that they are being taken seriously, that a person is performing who approaches the task with utmost discipline while creating an awareness for various musical genres and styles. Garrett’s desire to diminish the awe of classical music felt by young audiences, in particular, to spark a whirlwind in the music scene while striving to sweep as many people off their feet as he possibly can is fulfilled to an overwhelming degree. The artist was rewarded with an ECHO Classic 2008 in the category “Classic without Borders.” The “Encore” followed fast on this first success in October 2008, even surpassing the former release as a follow-up album. 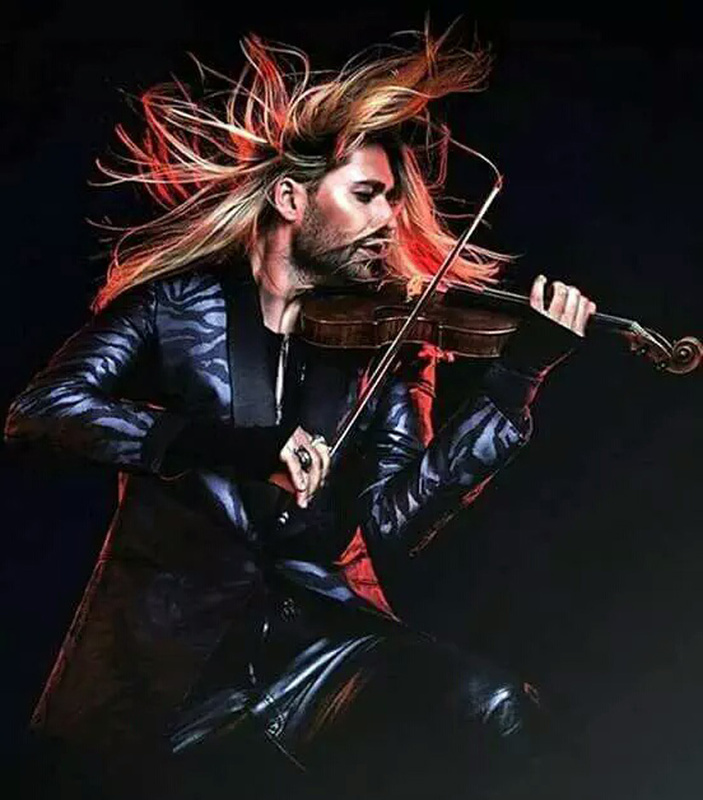 In the USA, “David Garrett” stayed number one in the classical and classical crossover charts for months. In June 2010, all previous musical activities of the star violinist culminated in a further exciting challenge: Rock Symphonies. At the legendary concert at Park Wuhlheide in Berlin, David Garrett delivered an unprecedentedly individual “musical address” to his multi-generational audience. Classics from all epochs – from the Baroque Age to modern times, from Bach to Nirvana – are presented in a newly arranged symphonic idiom. Once again his courage to embrace new things was rewarded. 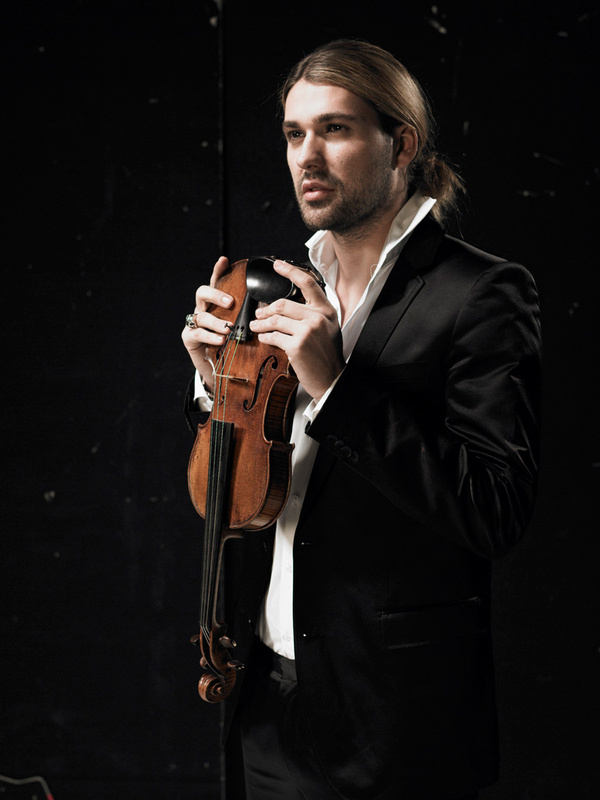 After his successful Rock Symphonies Tour in 2011, David went back to his classical roots. In the autumn, the star-violinist was Honorary Judge in the category violin at the International Music Competition Cologne. He fulfilled his lifetime-dream with the recording of the DECCA album “Legacy”, which was first released in Germany, Austria and Switzerland. On this CD, you can listen to the Beethoven Violin-Concerto, which David considers this “the ultimate masterpiece of the violin repertoire”, plus various works by Fritz Kreisler. Legacy proved to be an exceptional success. As soon as the album was released, it reached rank six on the overall charts in Germany, the highest-ranking instrumental classical album in German chart history. In January 2012, the album reached gold status. Legacy was released in the UK on 12th March and in the US on June 05. 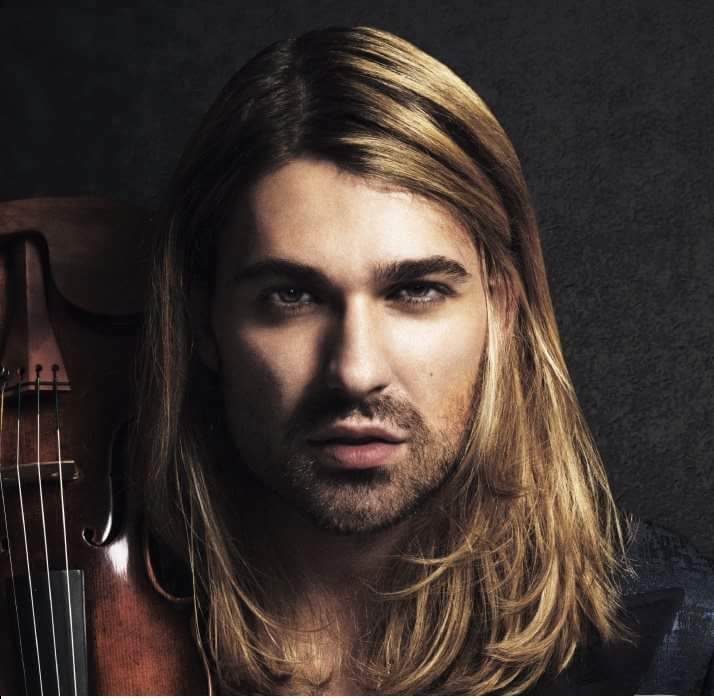 World-renowned superstar violinist David Garrett announces his Canadian concert date: March 10, 2016. 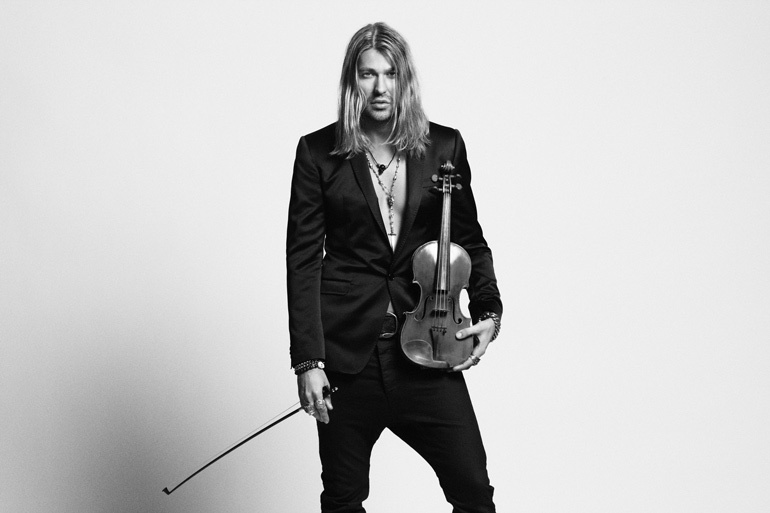 His second Canadian concert ever, David Garrett and his band promise to awaken your senses like never before. At an inordinate value, tickets are selling out fast! Accompanied by a symphony orchestra at Toronto’s illustrious Roy Thomson Hall, David, and his band will push the limits between pop, rock and classical. This performance is sure to awaken your senses. David’s newest album, Explosive, includes 11 of David’s own compositions plus some great classical music – and covers of songs by the likes of Ed Sheeran, Metallica, and Eminem. 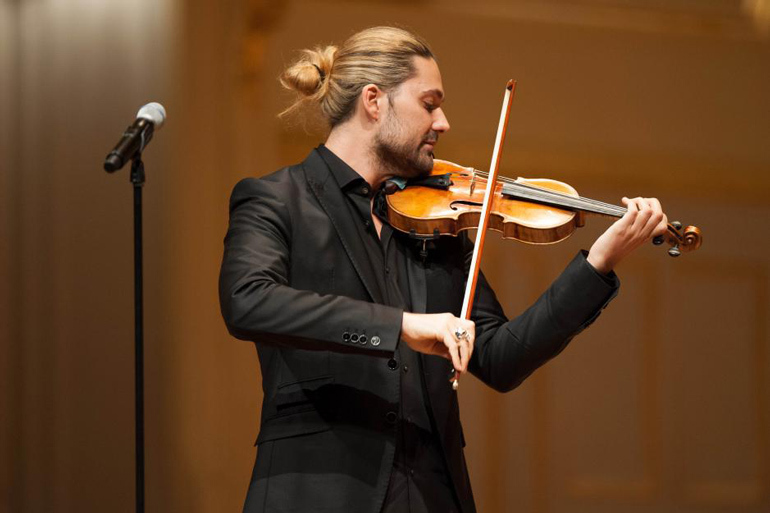 “He’s the long-haired violin virtuoso that blurred the lines between Mozart and Metallica.” ClassicFM. David’s first Canadian concert in 2012 was an extension to his Rock Symphonies tour – a collection of rock and metal songs. He played with his band and the Edmonton Symphony Orchestra at the Winspear Centre for Music to a sold out crowd.